Foreign Minister Sergei Lavrov claims Washington is attempting to undermine the nuclear deal between Iran and other world powers. The comments come after President Trump said he'd lift sanctions against Iran that aim to curb their nuclear missile programme. Sergei Lavrov said; "As a first step, we propose that everyone calm down and freeze any confrontational activity. First of all, military undertakings, whether they're missile launches, nuclear tests, or large military manoeuvres." In recent days, Trump has stated he wants "terrible flaws" in the 2015 nucelar deal fixed within 120 days. 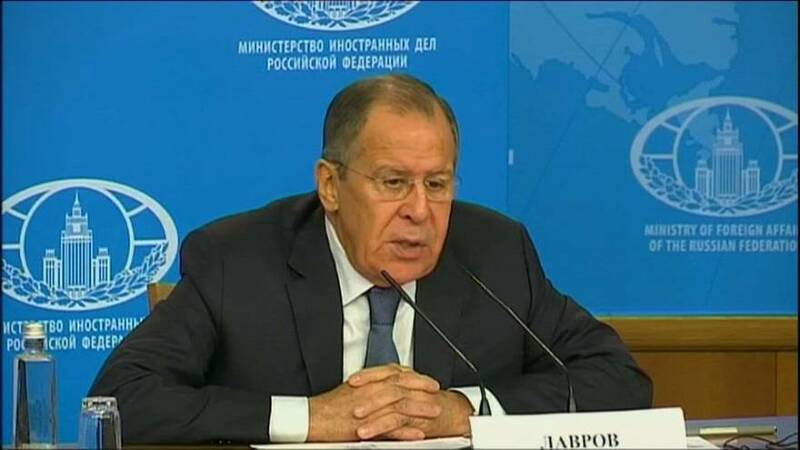 Lavrov also said; "What the U.S. is trying to do now, is basically change the wording of an agreement, including things which will be absolutely unacceptable for Iran, and we will not support them." He continued; "And if the U.S. really slam the door, then I don't even want to think about the consequences because, surely, in that situation Iran won't consider itself bound."